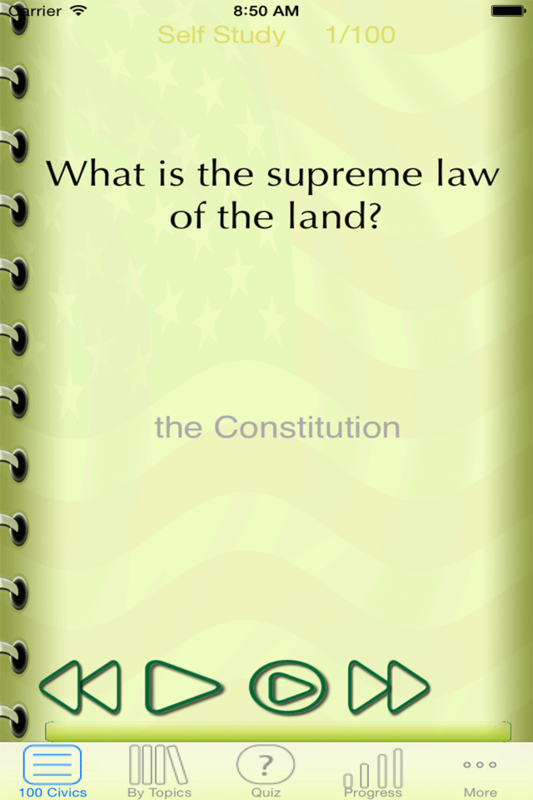 US Citizenship Prep is a study guide to help you practice, gain confidence, and pass the USA Naturalization test. Increase your chance to pass your interview test by tracking your study progress. This iOS App will help you study USA naturalization material at any time any where by using audio files; learn while listening to interview questions and answers. Page displays customizable options available to personalize this app according to your needs. 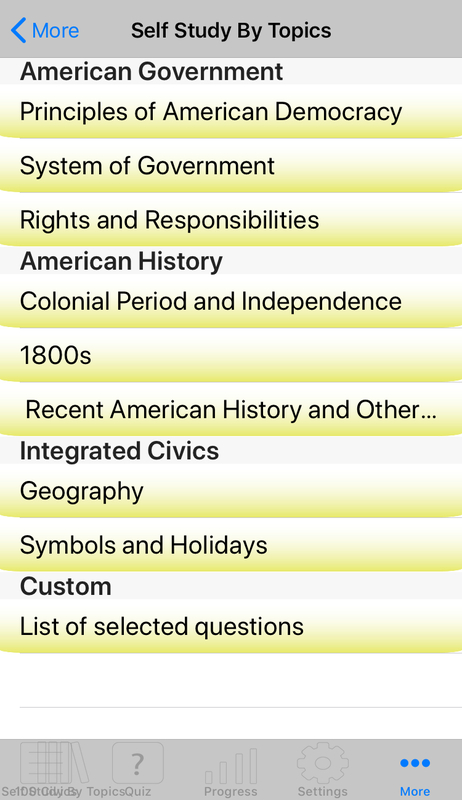 Page displays study material based on your selected option - 100 civics or by topic. 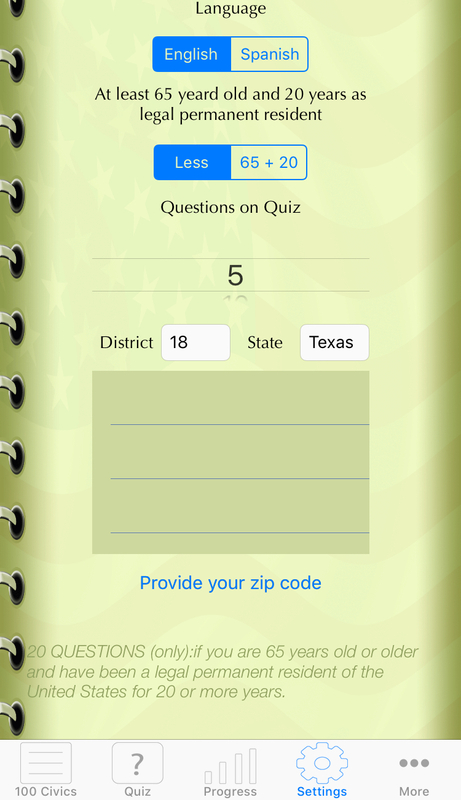 Play one question at a time or use Auto Play option to automatically review all questions. Page displays questions to measure your knowledge. Page displays chart of your progress base on taken quizzes. 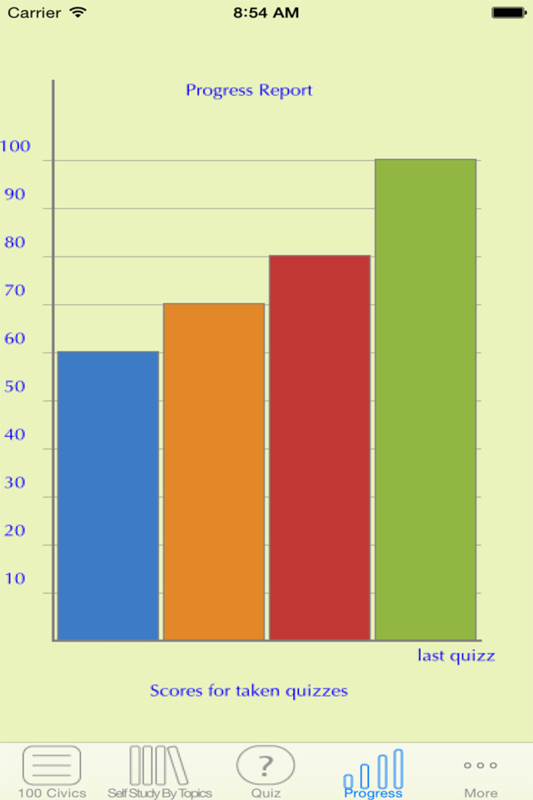 Graphically shows your progress - received score for taken quizzes. Graph shown the 20 most recent scores. Page allows to study one topic a at time. Option under Custom section presents your customized list of questions you select from Custom Study List tab. This option helps you study questions you are having trouble remembering. Page allows selecting questions that you are having trouble remembering from the required 100. Switch to allow question to be included within custom list accessible from Self Study By Topics tab.